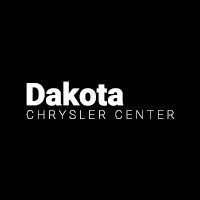 Jeep drivers in West Fargo have access to lots of great offers and incentives on new Jeep models at Dakota Chrysler Center, but that’s not all that’s on offer. We also offer the unique benefits that come with the Jeep Wave program. Find out what comes with this exclusive package and whether you’re eligible, and stop by our dealership in Wahpeton with any questions! The Jeep Wave programs take Jeep ownership to the next level with a wide range of exclusive benefits you won’t want to miss out on. Jeep Vehicle Owner Support: If you have any questions about your Jeep or need help scheduling service, we’re here to help with 24/7 Jeep owner support. Complimentary Jeep Maintenance: Keep your Jeep running like new with two complimentary oil changes and tire rotations per year. Complimentary Rental Coverage: If you bring your vehicle in for routine maintenance, we’ll give you a Jeep rental for free. Trip Interruption Coverage: If you require repairs because of any faulty issues with your Jeep, this program covers you with $1000 in trip interruption coverage for lodging, meals, and emergency transportation. VIP Benefits: Get exclusive, preferred access at Jeep Brand events and contests throughout the country. Exclusive Jeep Discounts: Get up to $500 in special discounts at 150 Jeep retailers throughout the country. All Jeep vehicles from model years 2015 and newer are all eligible for the Jeep Wave membership program, and if you purchase any of the following models then the Jeep Wave program benefits are included with your purchase. Take Advantage of the Jeep Wave Program Near Fargo at Dakota Chrysler Center! Find out more about all the advantages that come with the Jeep Wave program, and enjoy access to a wide range of new vehicle specials at Dakota Chrysler Center, your Breckenridge area Jeep dealership at 7950 179th Avenue in Wahpeton, ND. We have lots of financing options available, and you can reach us at (701) 403-8016. 0 comment(s) so far on What is the Jeep Wave?